80% of adults in the U.S. are facing uncertain financial times, credit issues or poverty. The sting can be even worse if you’re financial hurt because someone stole your identity and ruined your credit. No matter the reason why you’ve fallen on hard times, it just plain stinks. And we’re in it together. This is not the first time our country has found itself falling on hard economic times, and there are plenty of songs about being down and out and struggling to overcome in these difficult times. 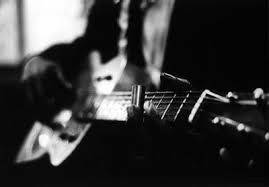 Blues music originated in the Deep South at the end of the 19th century. The language and attitude of Blues music evokes inspiration in overcoming struggles and adversity to those who have a lot in common with such experiences. Written by Jimmy Cox in 1923 during the Prohibition era in the US, “Nobody knows you when you’re down and out” tells the story of a millionaire who loses all his money. The song was first recorded and made popular by Bessie Smith in 1929 just as the bottom fell out of the stock market. It was the start of the Great Depression. The song’s enduring appeal is that we all know that the story of the song could be well be our story. Especially in these days of our own economic collapse, if could be us “falling so low”. “How Can A Poor Man Stand Such Times And Live?” was recorded by Blind Alfred Reed in New York, NY, 4 Dec 1929. The song tells of hard times during the Great depression. Covered and updated by Ry Cooder and Bruce Springsteen, Reed’s laments about food prices and shoddy healthcare are as contemporary as your latest premium hike. Check it out! Blind Alfred Reed – How Can A Poor Man Stand Such Times And Live? “We’re Gonna Make It” rose to number one on the R&B charts in 1965. It was recognized as something of a civil rights anthem, staring adversity in the face, acknowledging the reality that a community was facing oppression, but with a firm belief that things would change for the better anyway. Best known for his 1970s-era funk albums, Johnny “Guitar” Watson first made a hit during the 1950s as a blues guitarist and R&B singer. As soon as he gets some cash together, though, he’s leaving his misfortunes behind and headin’ back to Texas. Psst...It’s a big world out there with lots of amazing music – do you think another blues song should be on this list? Leave us a comment and tell us which other songs should be on here and why.